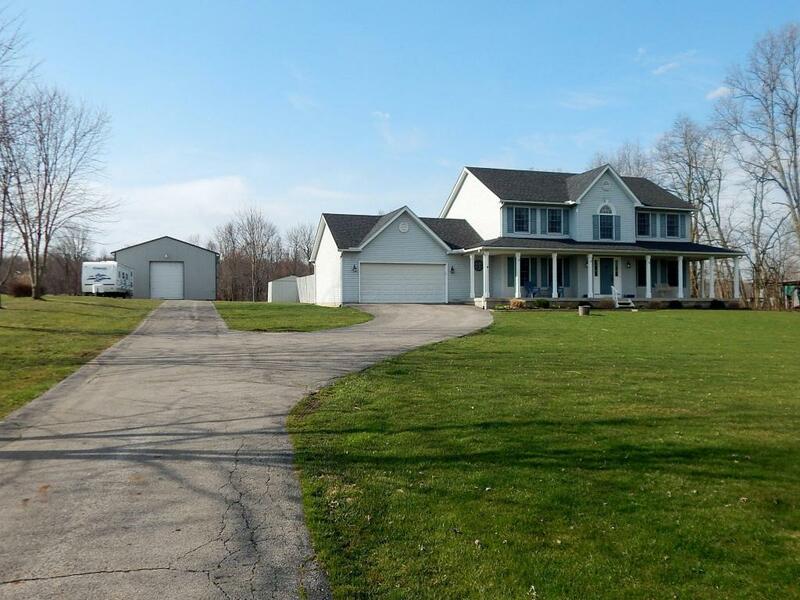 Beautiful 2500+ sq ft, 2 story home situated on 3 acres in Johnstown-Monroe Schools! This home offers 3 bedrooms, 2.5 baths, den, and dining room, and 2 car attached garage. Wrap around porch allows you to enjoy the quiet country side setting. Additional 30x40 pole building with concrete floor, electric, and 2 post auto lift. Back deck looks at the 28 foot above ground pool and large backyard. New HVAC in August 2017.